This week, Carla, Joe, and Drew discuss what else but the Warrior and all its awesomeness! Drew also explains the Great Warrior DevSpeak puzzle, and Joe sniffles his way through the show! Discussion topic: Have you ever played “the Warrior archetype”? Or against it? Or with it? 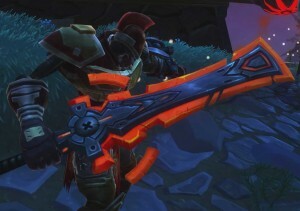 What do you like/dislike about Warrior class-types?